The Mobile Screen Shop offers the finest Retractable Screen Doors available anywhere installed by an experienced professional. ClearView Retractable Screens are constructed of heavy duty extruded aluminum that is powder coated for a durable finish. They come with a manufacturer's limited lifetime warranty. The Mobile Screen Shop includes a lifetime labor warranty to replace any component covered by the manufacturers warranty. 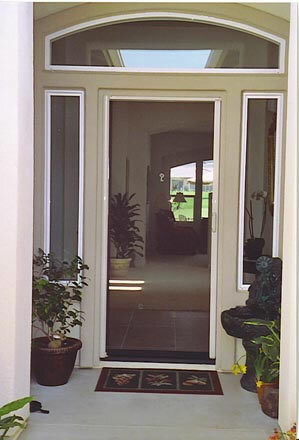 The installation of your screen doors can be as important as the quality of the door itself. It can affect the appearance, functionality and durability of the doors. The Mobile Screen Shop will ensure that you get the best performance out of your Retractable Screen Doors. We have installed over 5000 retractable screens in Orange County. We have installed and repaired many other brands and will be happy to explain the varying features and quality. Custom sizing is included in this price. Retractable Screens are the most versatile style of screens because they are adaptable to virtually every style of door or window. 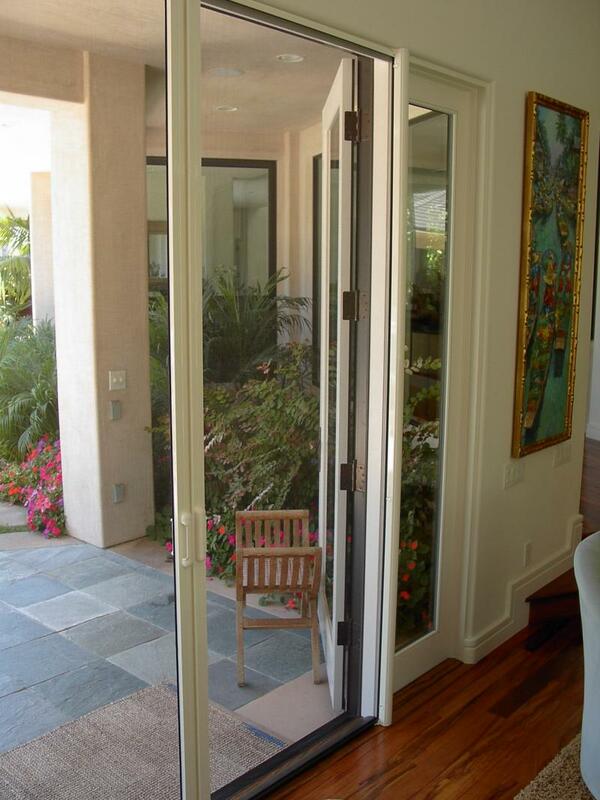 They are the perfect choice for doors that open outward or when there is not enough clearance for a swinging screen door. They are out of sight when not in use so that you may enjoy an unobstructed view when the screens are retracted. ClearView Retractable Screens have a Speed Reducer which controls and reduces the retraction speed of the screen. This eliminates the slamming noise that other retractable screens can make when they are opened. We can show you all of the other design features that make ClearView doors your best choice during a free in-home consultation. Even if you've been told by other screen companies that retractable screens can not be installed on your doors or that they will have limited function, give us a call. 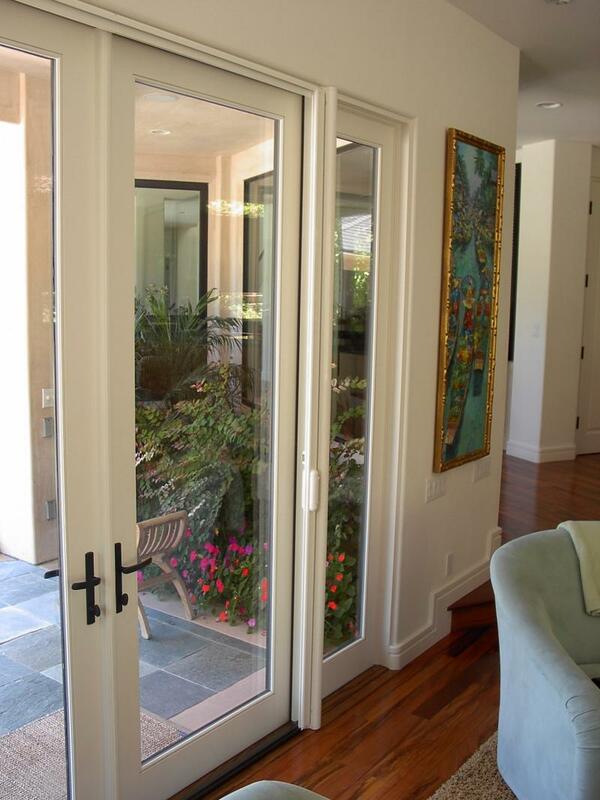 We have installed over 5000 Retractable Screen Doors in Orange County and will make sure that you get the most out of your screens. Let us show you the best options for your home during a free in-home demonstration.